Personal injury claims covers claims made for any injury which you yourself have sustained whilst at work or out and about, and can also include illnesses caused by outside factors. If you have sustained an injury which wasn’t your fault, whether you slipped on a wet floor in a supermarket, tripped over boxes in a restaurant or injured yourself on unsafe shop fittings, we can help resolve the situation and recover any compensation you are owed as a result of the injury. It is often the case that your injury occurred because of an outside factor which was the fault of another party. Every supermarket or public place has a responsibility to keep their premises as risk free as possible, and to protect their customers from hazards such as slippery surfaces or sharp edges. 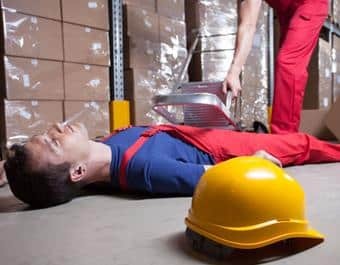 Injuries can also occur at work, and taking all reasonable steps to prevent personal workplace accidents is the responsibility of your employer. 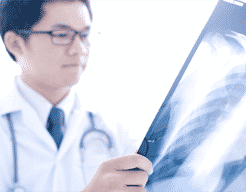 If your injury was sustained as a result of negligence by another party, our job is to investigate the specifics of your case and work to recover compensation for the inconvenience and suffering caused to you. Claims for personal injury through Injury Lawyers UK operate under a No Win No Fee guarantee, and we aim to secure maximum compensation for you. With over fifteen years experience in the field of personal injury law, our personal injury claims UK specialists are qualified to help you pursue your claim. Simply call us on 0800 1123 1256 or complete the enquiry form below, and a member from our London or Kent office will be in touch. 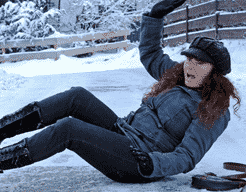 If you have tripped, slipped or fallen whilst out and about, don’t worry, we may be able to help you with a claim for Personal Injury! Whether you fell in a supermarket, slipped on a wet floor in a shopping centre or restaurant, or just tripped over a defective pavement we may be able to help you get compensation for the injuries you have sustained. Every claim has to be assessed by the circumstances of the accident and where it happened. If you fell in a supermarket for instance we will have to show that the supermarket failed to keep you “reasonably safe” whilst on their premises. However if you fell in the Street due to a defective pavement we would have to prove that the Local Authority failed to maintain the pavement in accordance with their obligations. But DON’T WORRY that’s what we are here for. We work on a No Win No Fee Basis if we feel that you will be successful with your claim. We can only advise you on this if you give us a call to discuss it further! Road traffic accidents are defined by law as a motorised vehicle colliding with another vehicle, person or object. Many car accidents are caused by reckless and inconsiderate driving, but can also happen because of dangerous road conditions such as potholes or icy weather. Unfortunately, car accidents can cause serious injuries for the driver and passengers, as well as cyclists, motorcyclists, pedestrians and all other road users. If you were involved in a road traffic accident in the last three years that was not your fault and caused you to be injured and suffer financially, then it’s likely we can help you start a claim. Compensation can help you get back to where you were before your injury. Whether that’s helping you cover the costs of your injury, allowing you to get treatment needed to aid your recovery, or providing you with the funds to adapt your home or car if you’ve suffered from a serious injury. 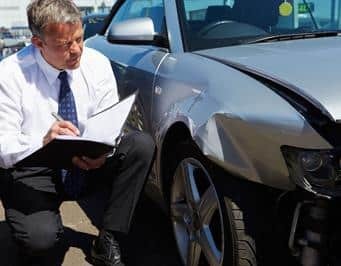 What’s involved in claiming for a car accident? The first step is to get in contact with us to find out if you can claim. Typically, we’re able to tell you in one call whether we’re able to help. We will make sure you’re happy to proceed and will talk through the no win no fee agreement with you. If you’re happy to go ahead we will contact the responsible party and speak to them on your behalf – letting them know that you’ll be making a claim for your injuries and damages. We will then begin the process of fully investigating both the circumstances of your accident and the extent of your financial losses. During your claim, your lawyer will be your point of contact. It’s their job to keep you up-to-date throughout your claim. In order to start this process please make contact with us on 0800 1123 156 for a no-obligation discussion. If you’ve suffered a serious injury because of a car accident, we can help make it right. Making a compensation claim may seem like an added stress at a time when you’re focusing on your recovery, but because you will only deal with our specialist personal injury lawyers we can ensure that you will be completely supported throughout your claim. Any compensation can include and assist you with planning for your future – especially if your injury is likely to cause long term changes to your life. For example, it can help to cover your mortgages or rent, travel costs, care and treatment.